Simply spectacular and the deal of a lifetime! This is truly a rare gem surrounded by over 24 acres of untouched land and featuring every upgrade imaginable. No expense has been spared from the gourmet kitchen with high end appliances, custom cabinets, granite counters, and those are just some of the features. Every room is over sized and features something unique. The back yard is your own private oasis, enjoy your day off relaxing at your pool compete with it's own private pool house which has a kitchen AND loft. 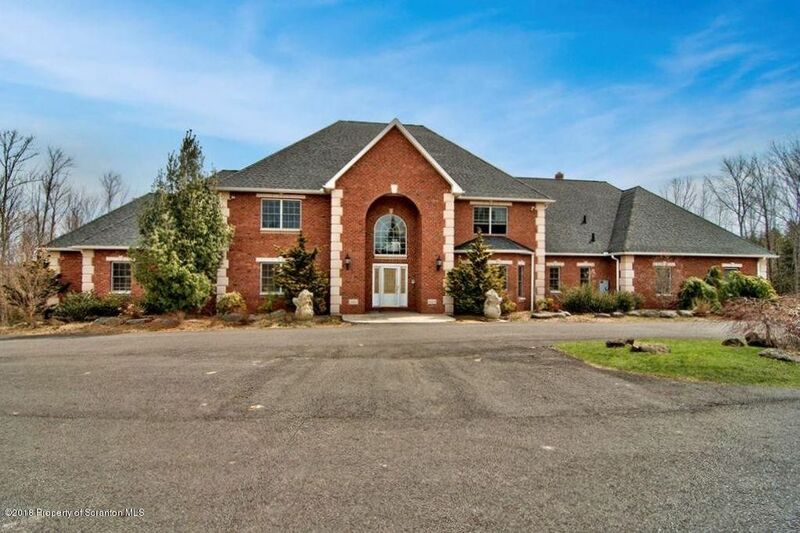 This home is one of a kind and the sqft does not include the pool house. Directions: Hamlin corners where 590 and 191 meet. Turn left on 191 North towards Lake Ariel. Pass the elementary school on the left. The house is on the right side where there are 2 driveways, take the left driveway down to the bottom where the house is located.